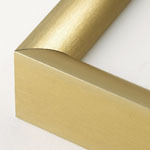 Metal frames are an easy way to add class and style to any room in your home. 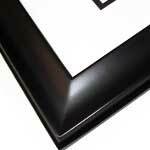 These frames look equally as fitting holding a family photograph as they do holding an important document. Our metal frames can be seen in waiting rooms around the city, or they can be seen above the mantelpiece in a family’s home. The clean, professional cuts and straight edge design can accommodate any type of photograph or document. 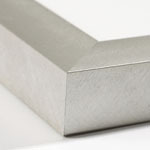 Our metal frames come in a wide variety of cuts, colors, and styles. Whether you want a vibrant green metal frame or one with a soft, golden glow, we can customize our metal frames to whatever your needs might be.